The Republic of Artsakh, or officially Nagorno-Karabakh Republic, is one of the more interesting "countries" that I've visited. Landlocked between Armenia and Azerbaijan, it is a de-facto independent state that is currently unrecognized by the United Nations and most of the world. As a "oblast" (something like province) in Azerbaijan during the Soviet Union era, it came under dispute after the Soviet Union's collapse with both Armenia and Azerbaijan laying claims on it (majority of the people in the region are ethnic Armenians). 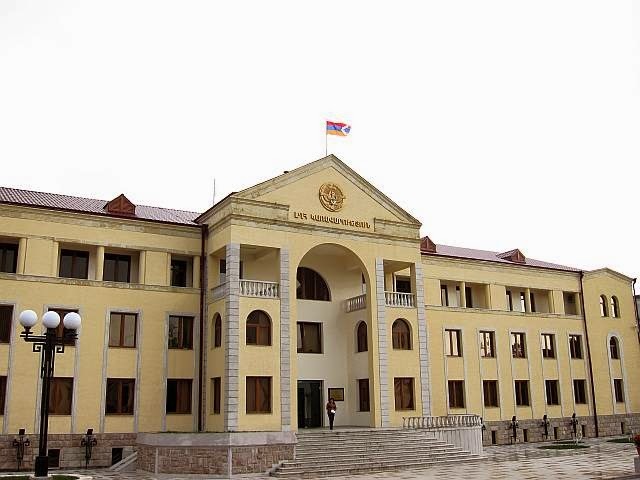 It declared its own independence in 1991 (with support from Armenia) resulting in the Nagorno-Karabakh War from 1991 to 1994. While the war had ended, the status of Nagorno-Karabakh remained unresolved, even till today. 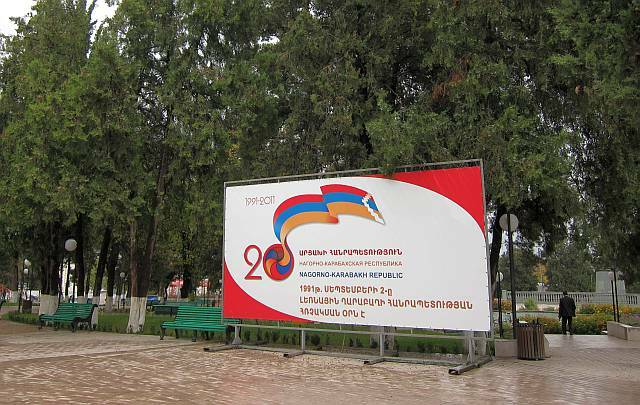 The only way to visit Nagorno-Karabakh is through Armenia, on a land-border crossing. In fact, a visa is needed as well. Interestingly, this visa can be gotten in the capital Stepanakert itself which means that somehow, you have to get into the country first to get the visa....! Apparently, at the border crossing, you will be issued some papers, and the visa collected in Stepanakert, and all these to be checked upon exit of the country. However, it is better to get the visa in Yerevan, which is what I did. It is rather painless and takes just 1 working day. 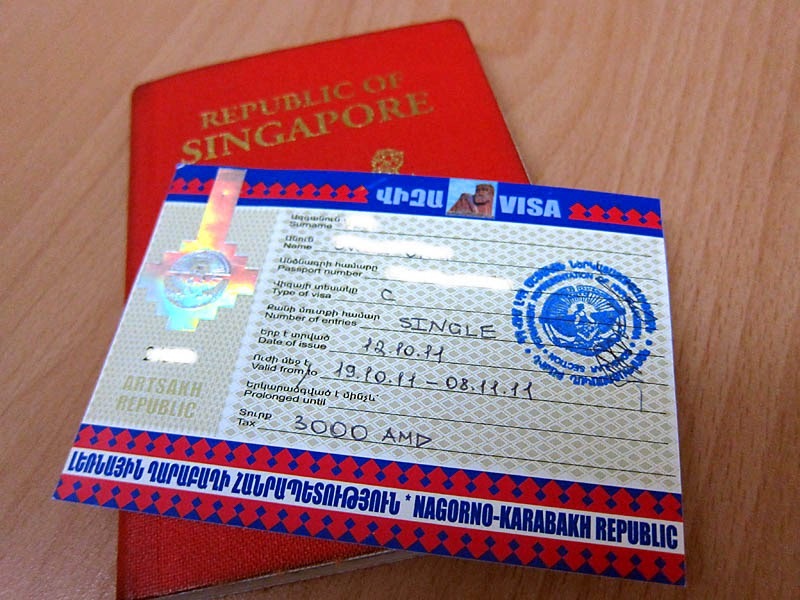 Because of the sensitive issues between Armenia and Azerbaijan regarding Artsakh, visitors who intend to visit Azerbaijan in the future may not want the visa affixed in the passport. Travelers will be denied entry when entering Azerbaijan if immigration officals find a Nagorno-Karabakh visa in their passport! The typical attractions in Nagorno-Karabakh, like Armenia, centers around its churches and monasteries. 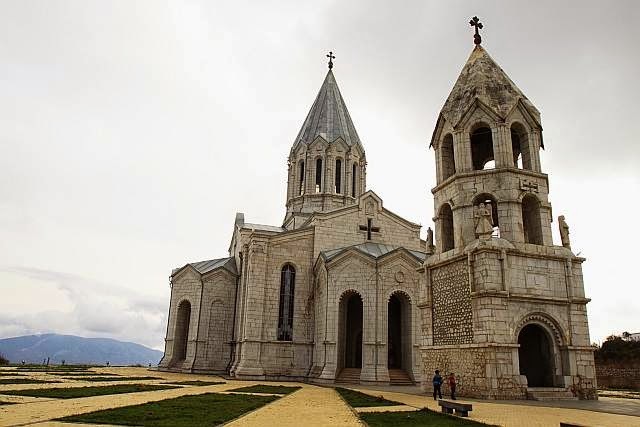 I visited Ghazanchetsots Cathedral, also known as the Cathedral of Christ the Holy Savio in Shushi, as well Gandzasar Monastery in Vank, which is an attraction in itself. However, what left the deepest impression was the people I met. Those that I spoke to who could speak English were friendly, and what struck me was that all of them seemed especially proud of their country, with sentences comprising of my country this, and my country that. In fact, when I was browsing in a cake/pastry shop, the owner asked me what I liked and I pointed to a cake. As probably one of her rare foreign customers, we had simple conversation and at the end, the cake was offered to me free with a farewell, "I hope you like my country."! 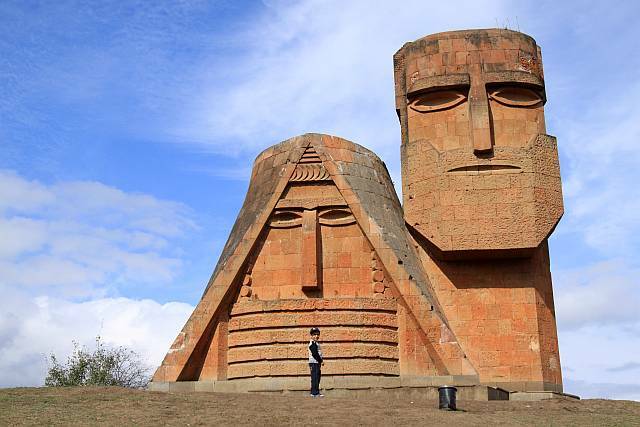 Of course, no visit to Nagorno-Karabakh is complete without visiting their "We are Our Mountains" monument, which is something of a national symbol. 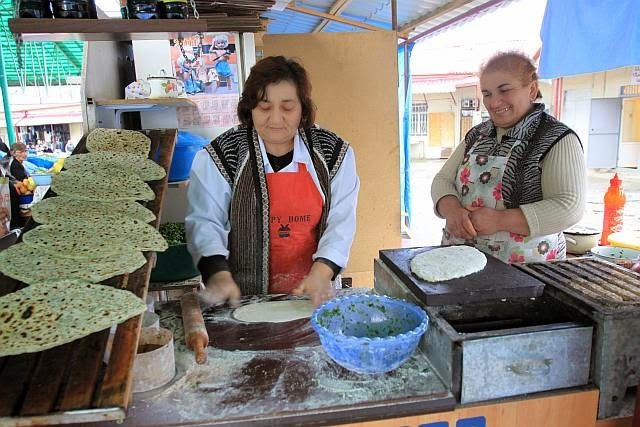 Known locally as Tatik-Papik (translated as Grandma and Grandpa), it is also found in their coat-of-arms, as well as the visa that you receive, which makes for a great souvenir! If you like off-the-beaten-path destinations, how about visiting this unrecognized country! Yeap, N-Karabak, a hotly disputed territory. Nice article. Thanks Herbert, still a nice plate to visit!